Happy New Year from Italy where the sun is shining on Puddles as he makes his continental debut. 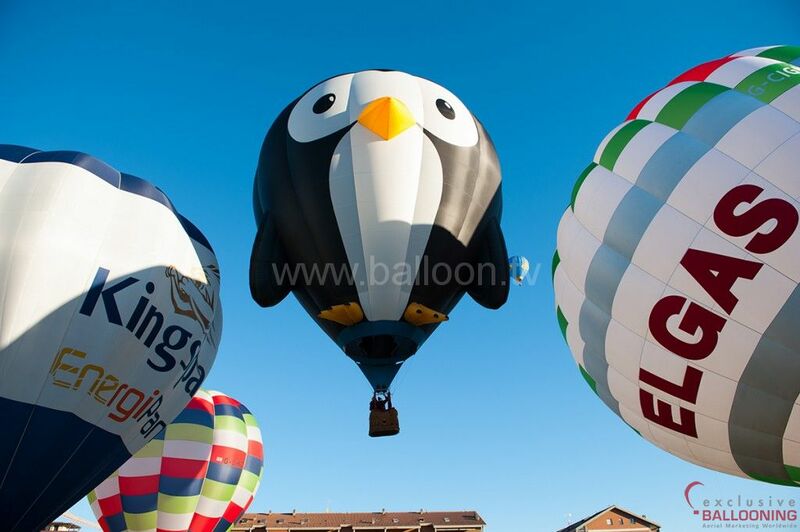 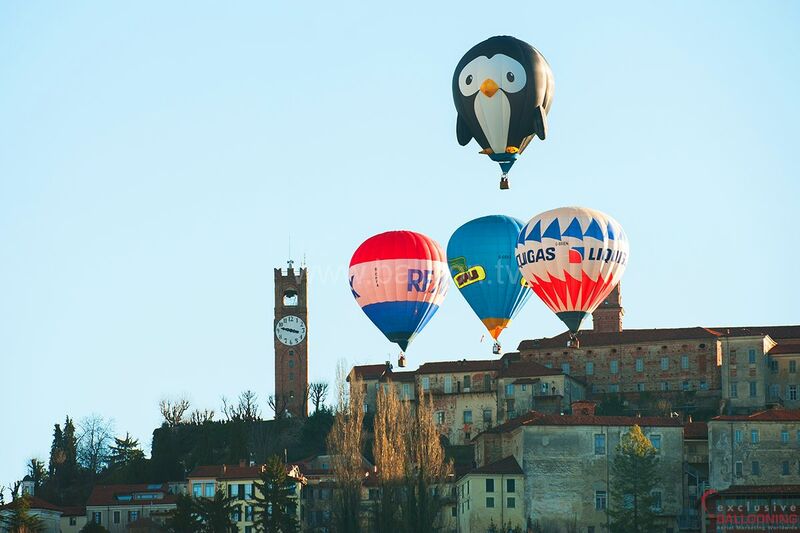 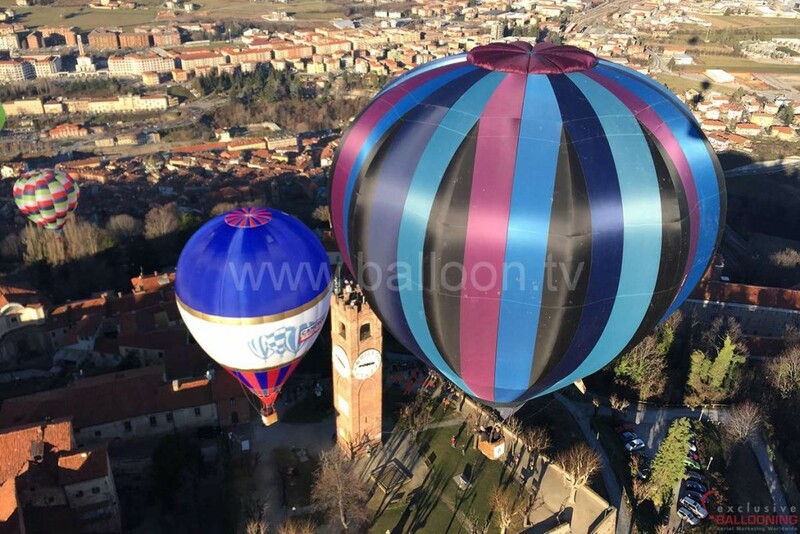 The Epiphany Balloon Festival is a very important date in the ballooning calendar with some famous flying over the beautiful Italian buildings of Mondovi in the shadows of the Italian and French Alps and ‘il Pinguino’ is the star of the show. 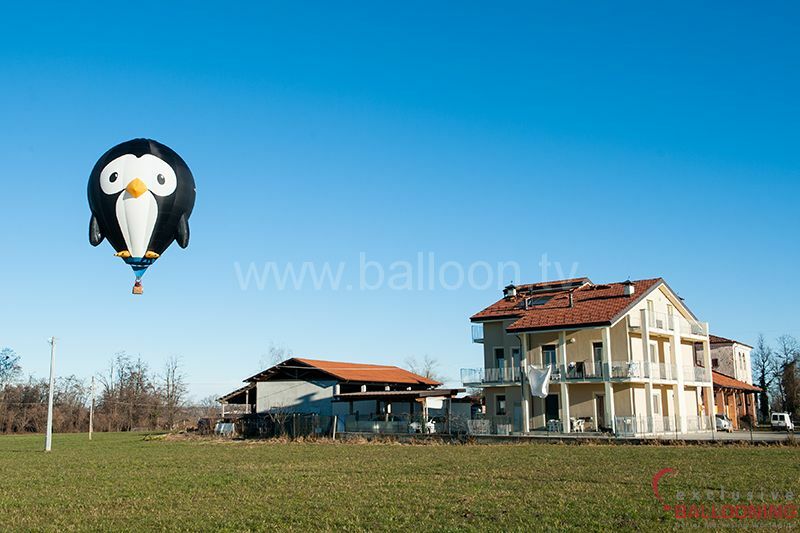 Flying is over four days and the weather is perfect with flights morning and afternoon. 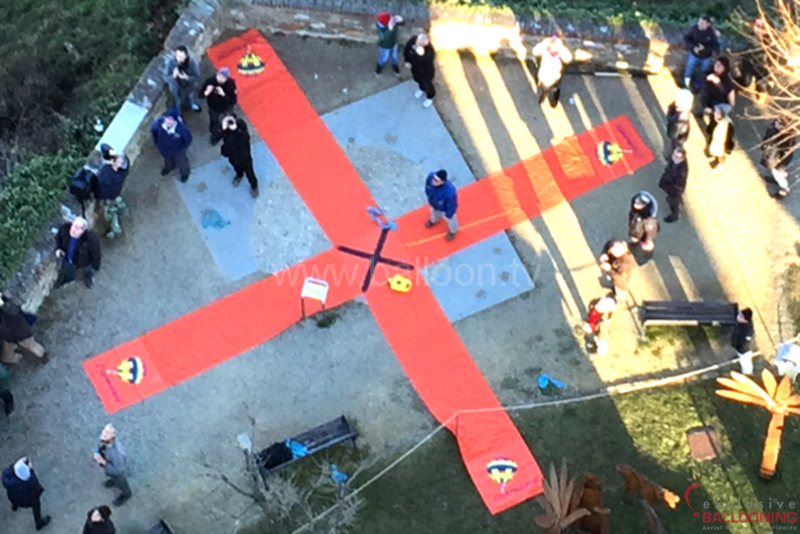 This morning saw one the years’ most anticipated flights – a competition to place a marker on a target at the foot of the old clock tower near the Piazza in the old town. 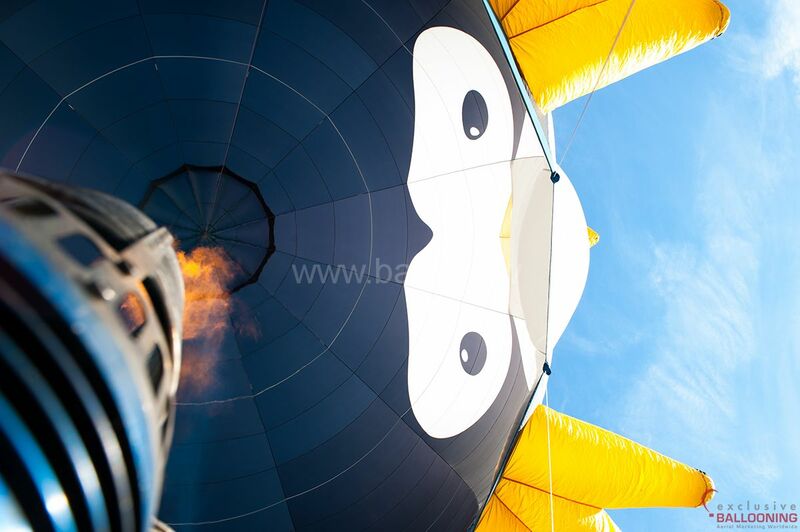 Probably one of the most challenging tasks in ballooning, Puddles made light work of this and together with pilot Andrew Holly, current British National Champion, scored just 63cm from the centre of the target.